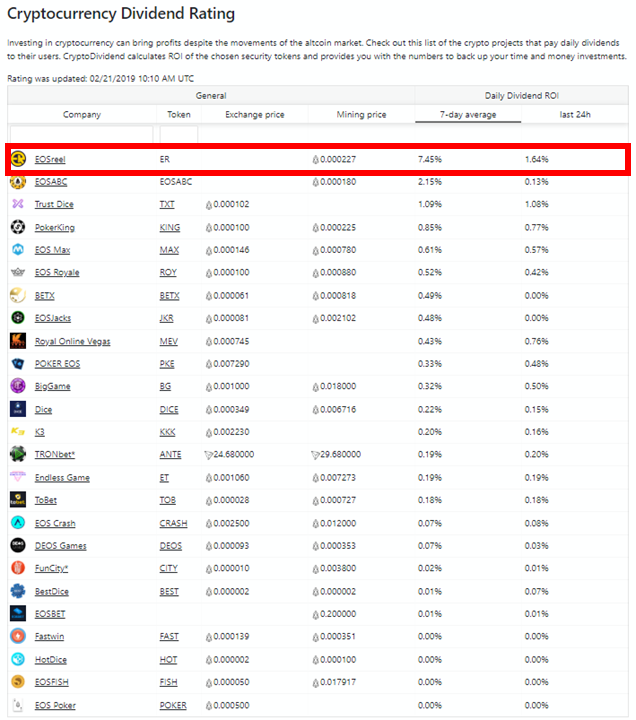 EOSreel was ranked at 1st place for payout ratio out of all profit sharing Dapps. EOSreel reported 1.64% daily return of investment, meaning 598% annul yield. EOSreel always tries to give the largest daily dividend payouts to its users!